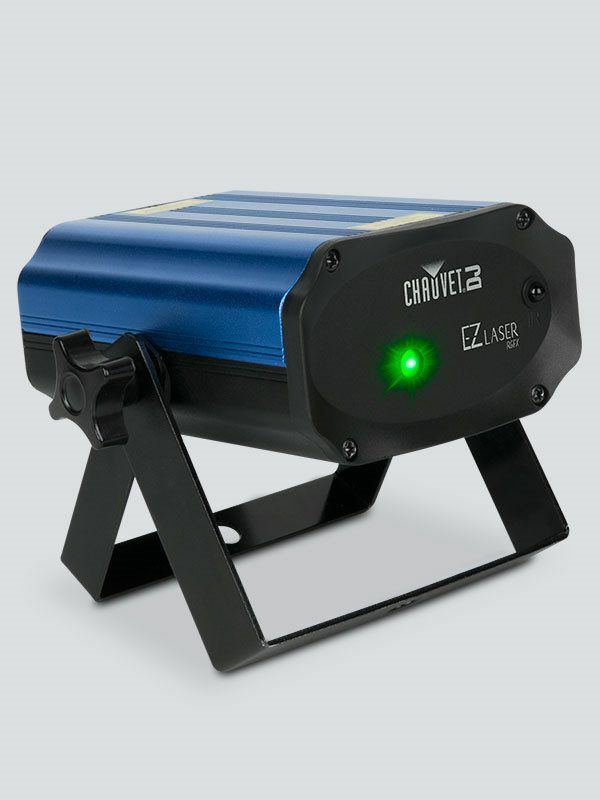 The EZ Laser RGFX is a compact battery-operated laser that projects thousands of red and green laser beams. Create customized effects with independent control of red and green laser diodes and achieve a run time of up to 6 hours from a single charge with the rechargeable, lithium battery. The EZ Laser RGFX covers a large, wide area and looks great with or without fog. Generate eye-catching effects with sound-activated and automated programs and wirelessly set color and rotation speeds with the included IRC-6 remote control. The EZ Laser RGFX is variance-free and ready to use right out of the box. Fits best in the CHS-25 VIP Gear Bag. JAM™ Pack Silver offers a quick and easy way to get the party started. This pack features three awesome ready-to-use effects. Included in the package are a moonflower, tri-color wash, and Combo UV wash/strobe. These fixtures can be controlled in auto and sound mound. A wireless IRC-6 remote is also included. 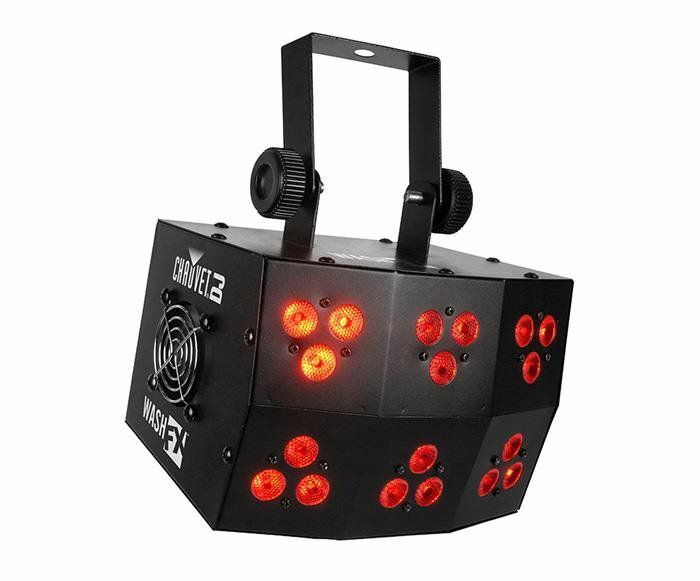 The Wash FX™ is a rugged, punchy wash light with 6 zones of control for pixel-mapping effects. Its unique shape casts punchy colorful light everywhere, and it is tough enough for any mobile entertainer’s lifestyle. 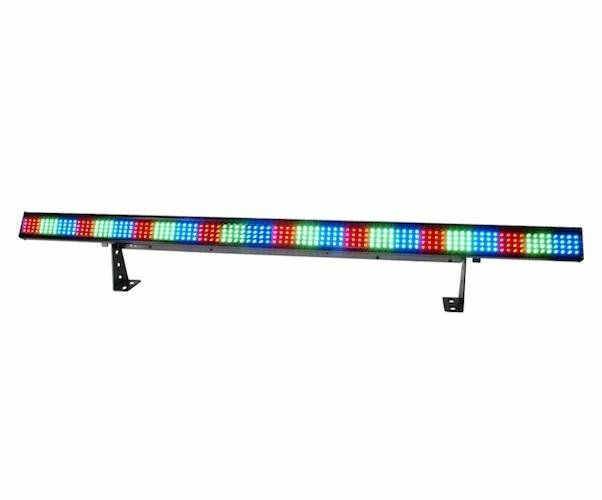 The Wash FX™ can be controlled manually with the control panel or with a DMX controller, and the built-in, eye-catching effects make any kind of control a breeze. 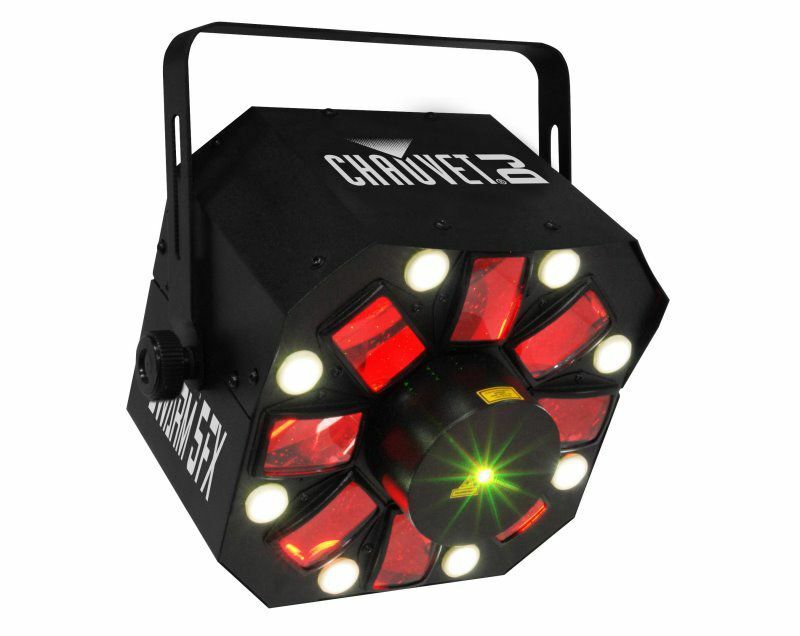 For advanced pixel-mapping use ShowXpress™ Pixels from CHAUVET® DJ. 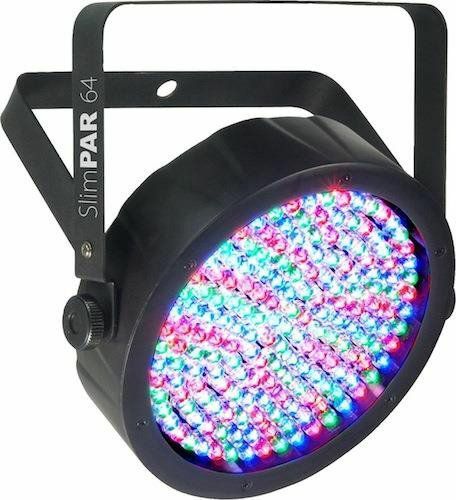 SlimPAR™ 56 is an LED wash light in a sleek white or black housing. Powered by 108 red, green and blue LEDs, it blends into any décor with ease. 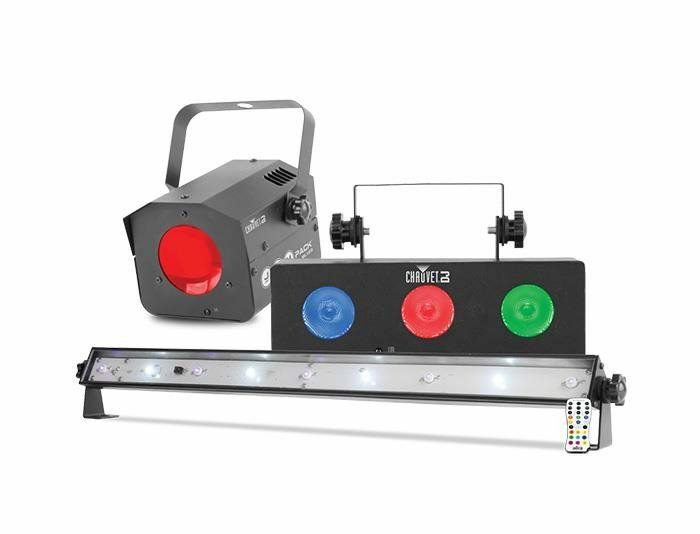 Customize light shows in 3- or 7-channel DMX mode. 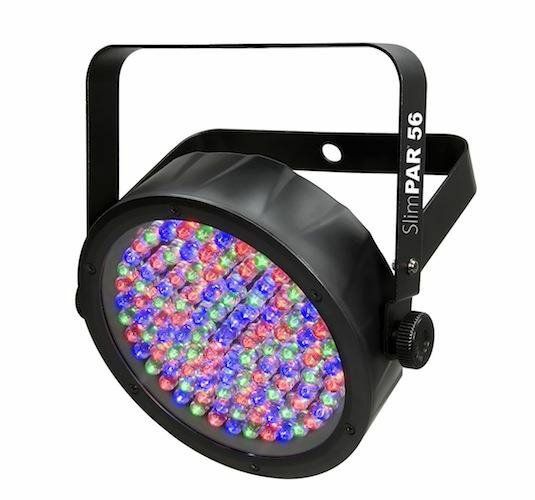 SlimPAR™ 64 houses 180 red, green and blue LEDs in a slim casing that fits almost anywhere. 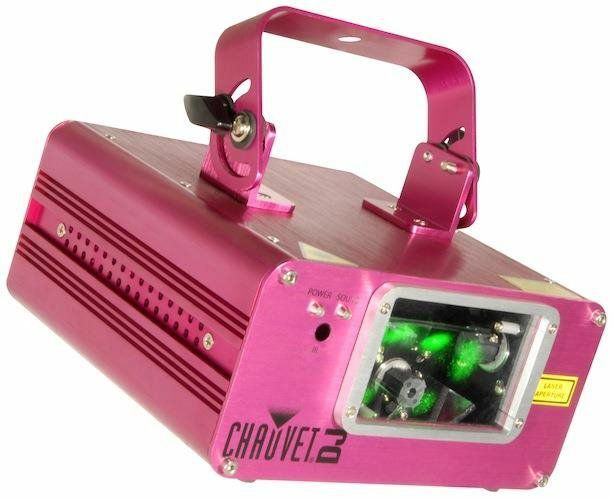 This efficient wash light is controllable in 3- or 7-channel of DMX mode. Or for use on the fly, activate pulse effects at variable speed or built-in automated and sound-activated programs. 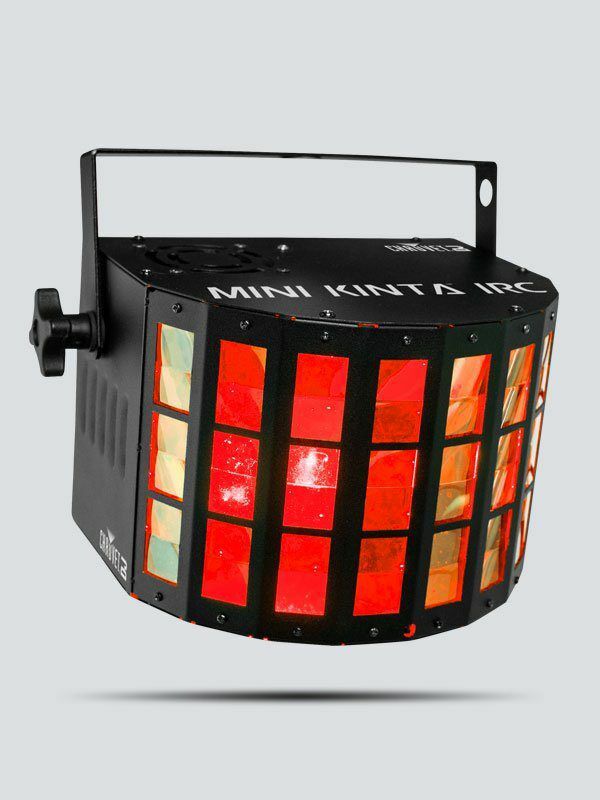 For added convenience, it also offers static colors and RGB color mixing with or without DMX, while built-in power linking simplifies setup and tear down.